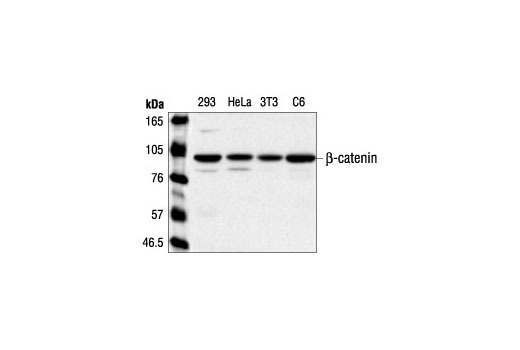 Western blot analysis of extracts from 293, HeLa, NIH/3T3 and C6 cells using β-Catenin Antibody. Western blot analysis of extracts from SW480 cells using β-Catenin Antibody. 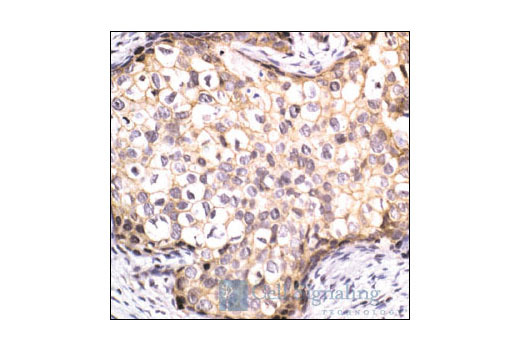 Immunohistochemical analysis of paraffin-embedded human breast carcinoma using beta-Catenin Antibody. Remove blocking solution and add 100–400 µl primary antibody diluted in recommended antibody diluent to each solution. Incubate overnight at 4°C. β-Catenin Antibody detects endogenous levels total of β-catenin. 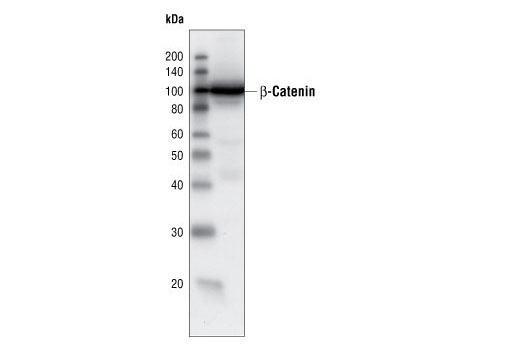 This antibody does cross-react with endogenous levels of γ-catenin. Polyclonal antibodies are produced by immunizing animals with a synthetic peptide corresponding to residues around Ser37 of human β-catenin. Antibodies are purified by protein A and peptide affinity chromatography.